Magnetic Mounting Kit - £7.95No Thanks! Each department or production area that participates in red-tagging also needs a local red tag holding area. The local red tag holding area is used to manage the flow of red-tagged items within a local department or production area. 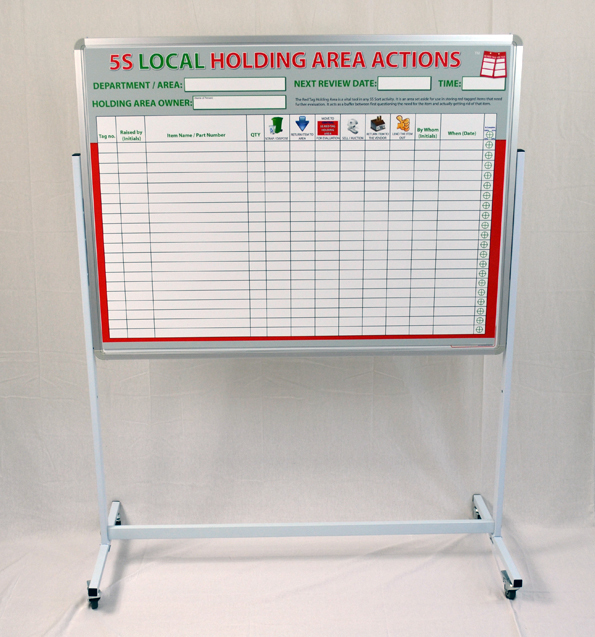 Without any local holding area, the decision is usually to “leave it where it is” and the Sort activity is prevented from achieving its objective. 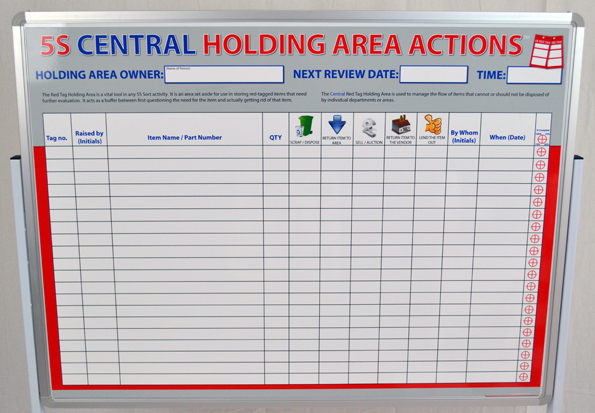 The Central Red Tag Holding Area is used to manage the flow of items that cannot or should not be disposed of by individual departments or areas. This popular kit easily manages the disposition of Red Tagged items and ensures that ownership is fairly assigned to each held item. This kit is designed to complement any of our 5S Sort Success Event Kits and TED 5S Continuous Sort Kits. The Red Tag Holding Area is a vital tool in any 5S Sort activity. It is an area set aside for use in storing red-tagged items that need further evaluation. It acts as a buffer between first questioning the need for the item and actually getting rid of that item.